Denmark Immigration following the footsteps of the other developed countries of the Europe and American countries introduced the Green card in 2008. The scheme was introduced to facilitate the highly skilled professionals in demand and give them access and residence. Popularly, known as the happiest country in the world, people are friendly and Denmark believes in the system of ideal citizen. Denmark respects the highly skilled professionals who can adapt to any conditions and good at language levels. The concept of inviting and introducing a new visa program is to welcome immigrants who can fill the gap where there is lack of skills and hindrance for progress. Denmark considers the adaptability as the highest level of education in the selection process of the immigrants. 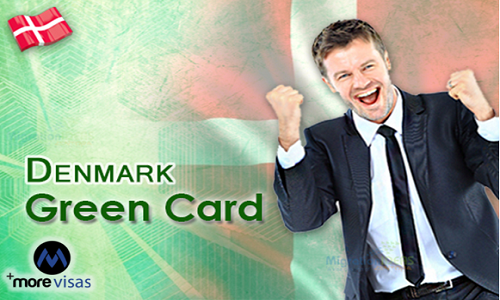 Denmark Green Card Scheme has unique point based system; the points are awarded based on candidates’ age, skills, language proficiency, and work experience. Priority is given to the people with the international work experience and international education. Some additional points are bestowed upon the people with international experience, educated in the reputed institutions. Prospective applicants must secure minimum points in the Denmark point based system. Job offer prior applying for the visa is not mandatory; anyhow highly qualified professionals who can establish themselves economically are granted visas. All the point based systems are stringent, candidates willing to apply must understand the comprehensive thoroughly. As job is the only source to settle in the Denmark, potential candidates must make prior arrangements by applying the job in Denmark through various portals. The reputed consultancies help the skilled professionals with the various services that help you to migrate to Denmark.